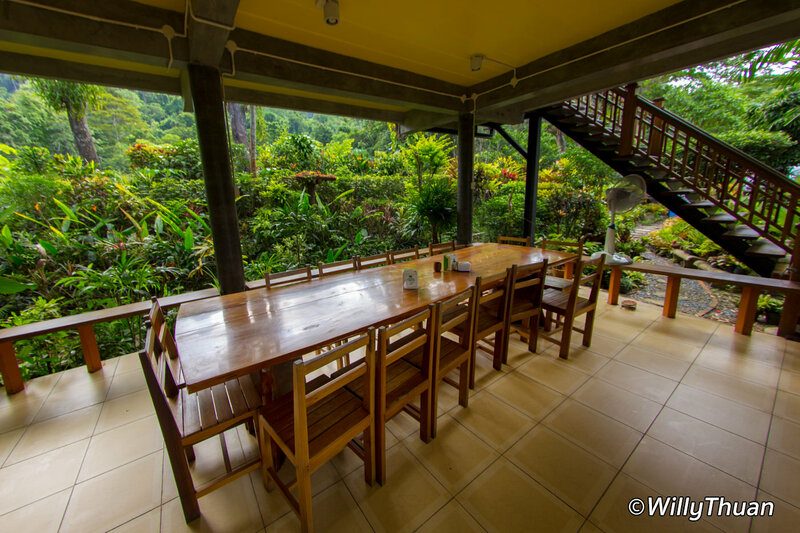 Piang Prai (Krua Piang Prai) is an excellent hidden local restaurant hidden in a green nest just next to Bang Pae waterfall. Mostly unknown from tourists because of its remote location, Piang Prai is one of the two great places to have lunch if you happen to be in the are (the other restaurant being Bang Pae Seafood.) Piang Prai is good; it’s worth travelling a long way to enjoy their excellent Thai food. 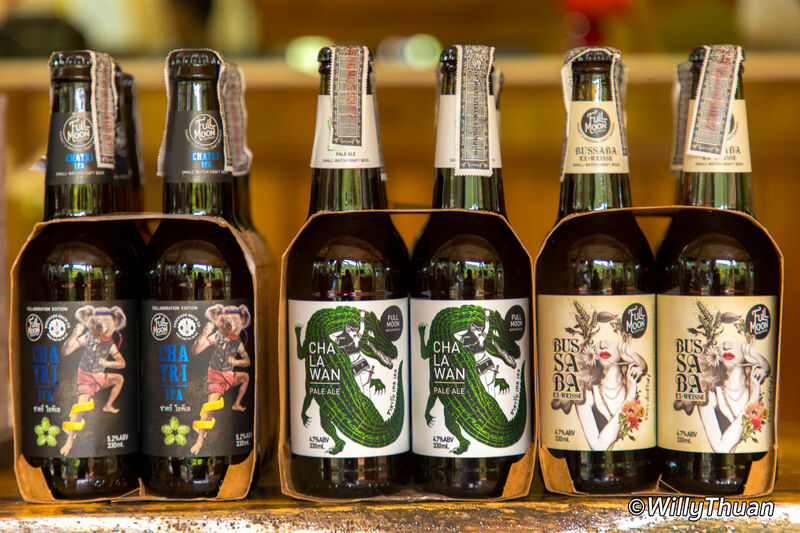 Piang Prai is a local favourite spot, and you can tell it also addresses to a young local crowd from their surprising choice of Phuket craft beers that a lot of Thai haven’t even yet heard of, such as Bussaba Ex-Weisse, Chalawan Pale Ale and Chatri IPA. 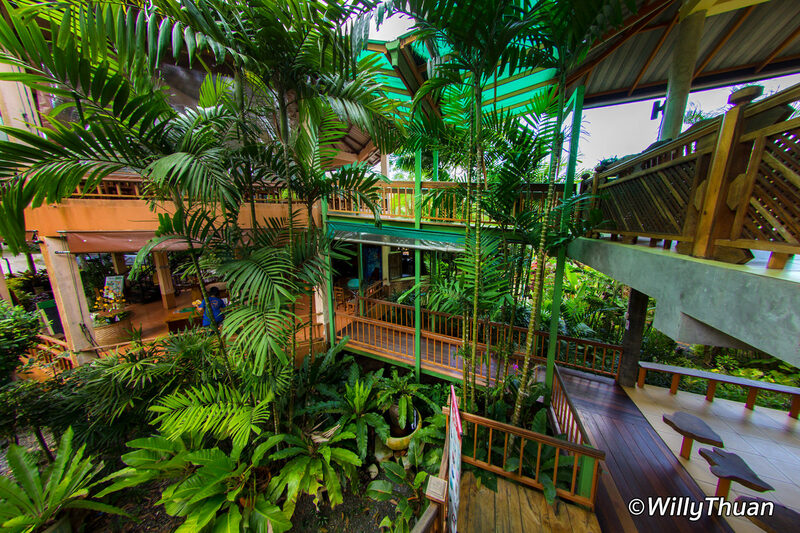 Piang Prai restaurant consists of two nicely designed spacious wooden houses surrounded by tall trees and gardens. 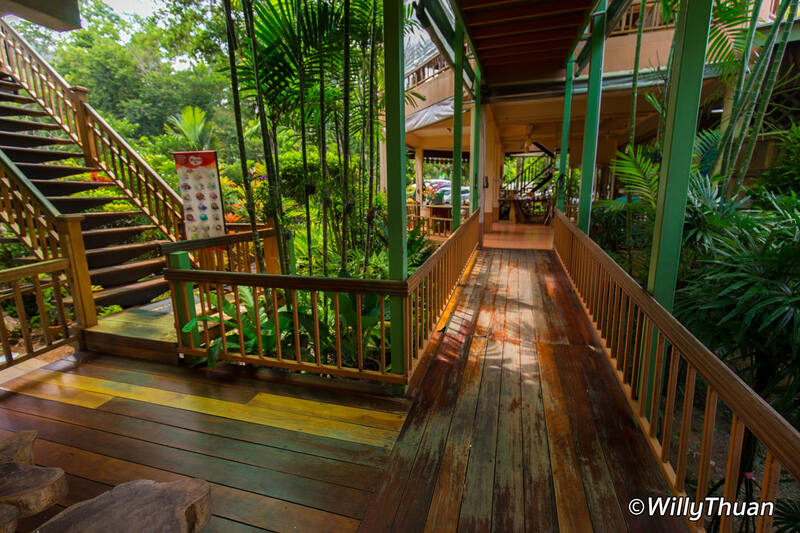 From the upper terraces, you can enjoy a view of a small lake leading to the Bang Pae waterfall. 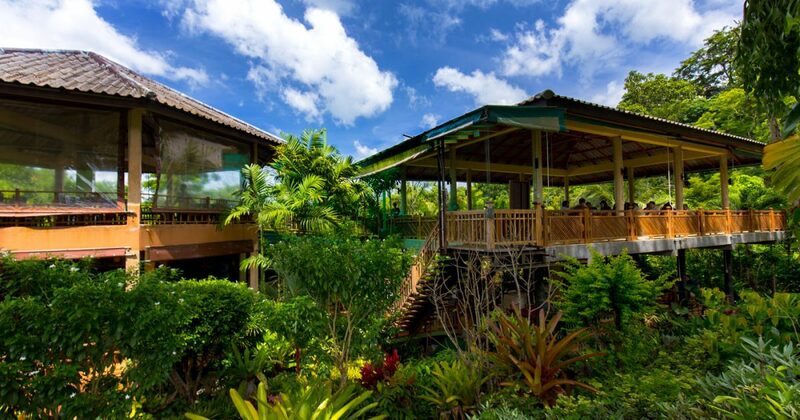 It’s perfect for a delightful lunch escape. Of course, the setting is important but what matters is the excellent Thai food they served. We ordered some of the local specialities you could also try. We did enjoy their Hor Mok Talay, a delicious fish mousse steamed in banana leaves (30 baht each). 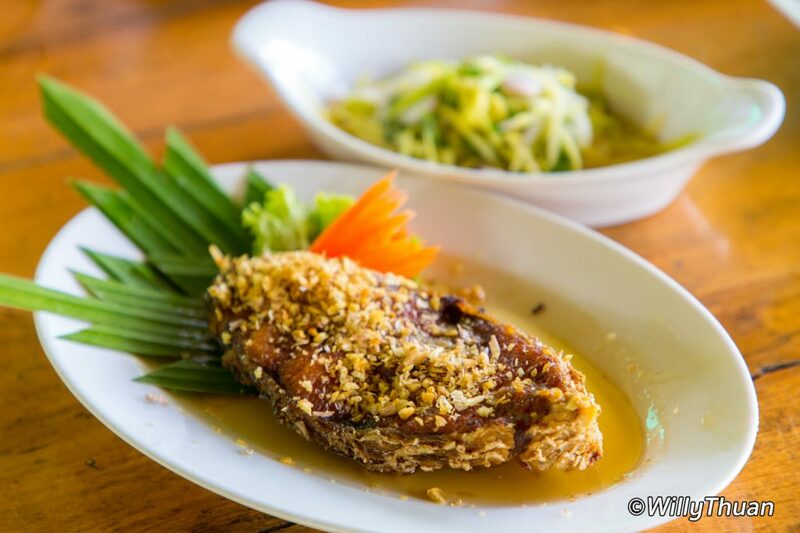 We then tried some Yum Pla Foo, a slice of deep-fried fish with a spicy mango salad (110 baht). 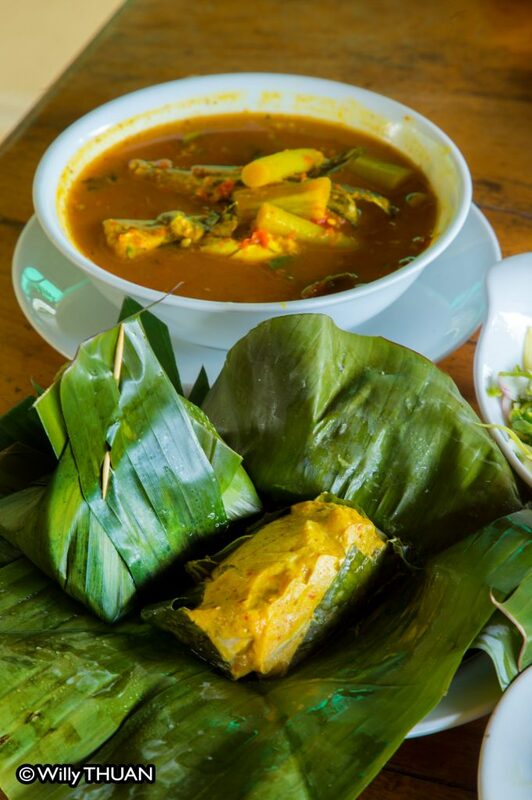 If you are brave enough, try a Gaeng Som, a spicy fish soup which gets its bright orange from turmeric root and its taste mostly from tamarind. The menu is extensive and well illustrated, so ordering is fun and easy. 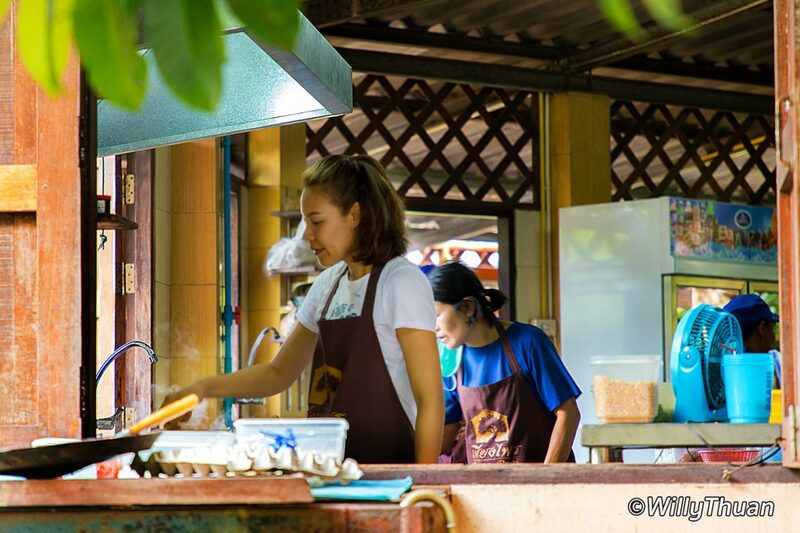 Prices are very reasonable, most dishes are around 100 to 120 baht, and the team is friendly and efficient. Once done you can continue to Bang Pae waterfall but be aware that there is a 200 baht fee per person to enter the national park. Note that Bang Pae waterfall is not impressive and it gets tiny during high season when it doesn’t rain much. To find it, drive in the direction of Phuket Airport and when you reach the Heroines Monument circle, turn to the right.